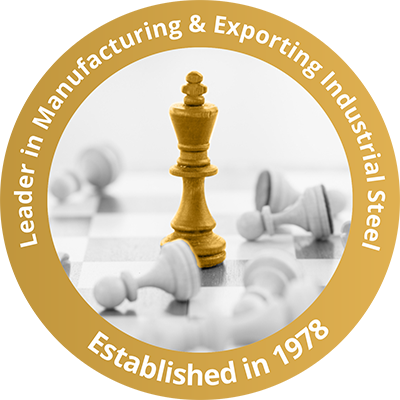 Numax Steels has earned the distinction of reliability as Manufacturer, Importer, Exporters, Suppliers, Dealers and Stockholder. Our systematic execution of work and dedication towards commitment and quality has brought us an ISO 9001:2000 certificate. We assure that No one in the world can complete us on the prices for the quality material we supply. Our wide range of choices in products has brought us vast list of reputed customers round the globe. Over these years of our inception, we have grown into a highly established brand and serve a long list of customers from domestic as well as international markets. Today majority of our revenues come from our overseas exports to clients in US, Europe, Africa, Far-East, Australia and so on. We are well established. We are regularly supplying these items to many leading industrial Units consisting of CHEMICALS/ FERTILIZERS /PETROCHEMICAL PLANTS, PAPER MILLS, CEMENT PLANTS/ SUGAR MILL/ FABRICATION UNITS etc. We also supply these items especially Stainless Steel Sheets/ Plates/ Coils/ Pipes to Engineering Industries who are engage in the Manufacture and fabrication of Process Equipment. We can supply the Items even under third party inspection via BUREAU VERITAS, D.N.V. H&G, KAVERNOR POWER GAS, UDHE INDIA, EIL, LLOYDS, TOYO, CHEMTEX, CEIL, TECNIMONT ICB & IBR etc. As we are regularly maintaining bulk stock in every item, we can arrange supplies in time and that too at the most competitive rate. We shall be thank full to you to kindly enlist our name with your approved Vendor list and favor us with your valuable enquires against your regular requirements. In each of the department right from procurement, production, inventory, market, sales and services are fully automated for a better supply chain management, so as to offer the best product quality and prompt service to the clients. Numax Steels has the state of the art infrastructure , latest machines for Die making, Forging, Machining Testing and R & D. Our assets include a dedicated manpower team together with advanced machinery which makes us No.1 in Manufacturing Exporting of industrial steels. We are also the first in attaining ISO 9001:2000 certification. Please click the below links to download brochure.